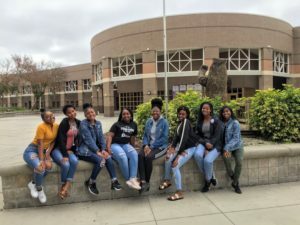 Winter Springs High School will honor the national Black History Month theme of “Black Migrations” with several activities and events throughout the month. Throughout the month, we will take a look at the different geographic movements of Black people all over the world. Black people moved for many different reasons. When they moved, they brought their cultures, talents and ideas to the places they moved to. Each week, pay attention to the announcements and come to The Bear Truth to learn about a few of the important Black Migrations that took place in different parts of the world. You will be able to win prizes at the Black History Month Program on February 22. 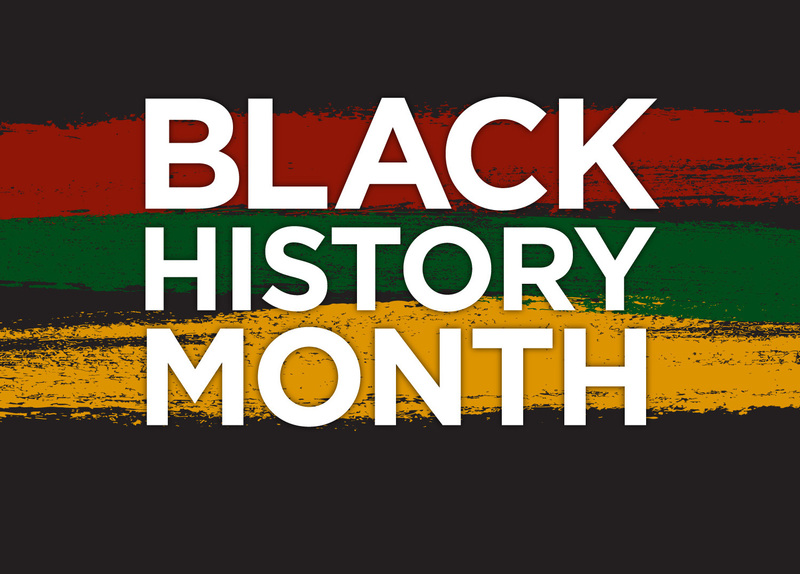 February 11-15, students can dress up according to various themes to honor Black History Month. Dress-up days will include Character Day, Kings & Queens Day, 80s and 90s Hip Hop Day, Excellence Day and Dashiki day. Then a program will be held at 6:30pm on February 22 in the WSHS Auditorium. The program theme is “Moving Upward: A Celebration of Black Excellence and Aspirations.” There will be performances and skits relating to the national theme of Black Migration. 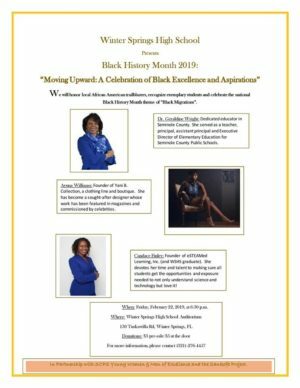 The event will honor African American trailblazers, Dr. Geraldine Wright, Ayuna Williams, and Candace Finley. 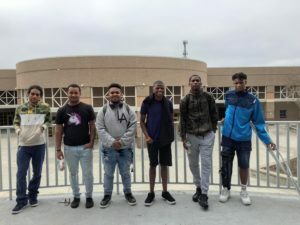 It will also recognize the outstanding students who were nominated for the Black History Month 2019 Excellence Awards: Eric Sheppard, Bryson Gibbs, Damian Elliott, Christian Showers-Peoples, Amir Rouse, Arnez Rouse, Kelvin Reynolds, Joneal Brunner, Xavier Feliciano, Milaya Phillip, Shania Makeen, Kaymiah Williams, Amari Green, Shaeron Poole, Passiun Williams, Gabriella Accius, Serena Lewis, and Jamila Williams. One student in each grade level will win the Excellence Award. Winners will be awarded during the program. On February 27, there will be “A Taste of the African Diaspora” food festival in the courtyard. You can purchase samples of delicious Caribbean and soul food. On February 28, members of Young Women & Men of Excellence and Gospel Choir will take a trip to the Fort Mose Museum in St. Augustine. Ft. Mose was established in 1738 as the first free African settlement to legally exist in the United States. To purchase tickets to the Black History Month program that will be held on February 22, you can see Mrs. Tamika Williams in 5-219 or any of the members of Young Women & Men of Excellence. The cost is $3 pre-sale and $5 at the door.